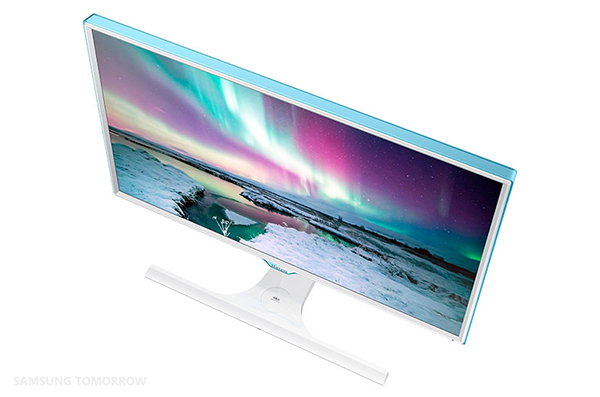 Samsung Electronics has just unveiled its SE370 monitor complete with integrated wireless charging capabilities for mobile devices and other Qi-compatible hardware. The Korean giant is rightly proud of the fact that its stunning new monitor places itself as the first of its kind within the monitor industry, and aims to do away with the “unnecessary” ports and clutter of cables that are generally required for charging multiple devices. 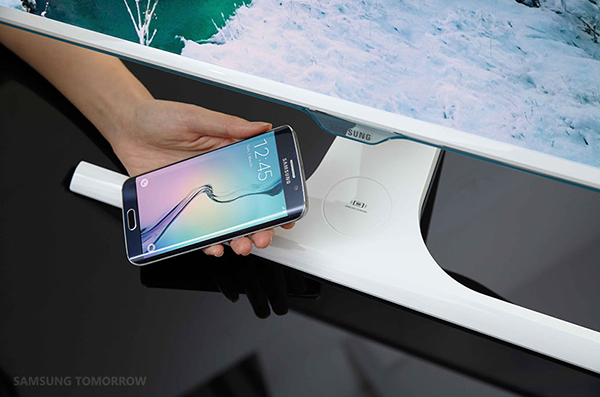 In addition to offering the marketable benefit of being able to wirelessly charge a smorgasbord of Qi-compatible devices, such as Samsung’s own Galaxy S6 and S6 Edge, Samsung is also confident that the vastly “superior” picture quality, and enhanced visual performance will hugely appeal to consumers looking for a new monitor. The SE370 will be available in 23.6 (S24E370DL) and 27-inch (S27E370DS) variants, with Samsung claiming that the latest product in its display range will ship with a “thoughtful design” that “seamlessly integrates advanced technologies that offer both professionals and consumers an optimal viewing and usability experience”. That’s some impressive marketing lingo right there. Marketing spiel aside, the Samsung SE370 actually looks like beautifully crafted. The convenient wireless mobile charging consolidates multiple mobile charging ports into one circular charging platform that sits unobtrusively on the stand of the monitor. An LED light serves as a notification for the user as to whether the placed mobile device is actually charging or not. Wireless charging is undoubtedly something that will take off in a huge way going forward, but for now Samsung is hoping that the integration of such technology in the SE370 will allow consumers to remain productive and efficient whilst working. 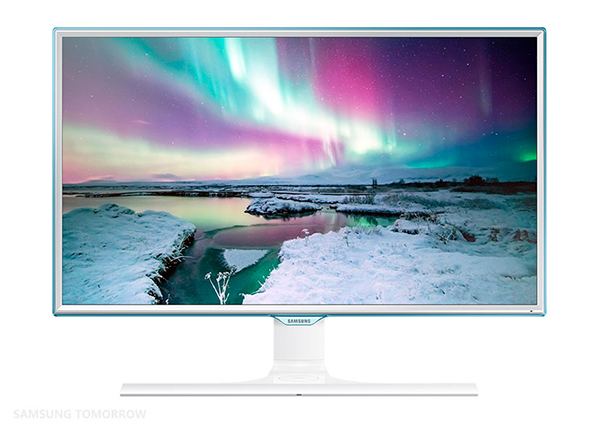 The proprietary Eco Saving technology built into the monitor also works in conjunction with the Magic Bright system to reduce screen brightness with the aim of improving overall energy consumption. It’s also compatible with – and has received certification from – Windows 10, which is particularly relevant considering the imminent launch of Microsoft’s latest operating system. 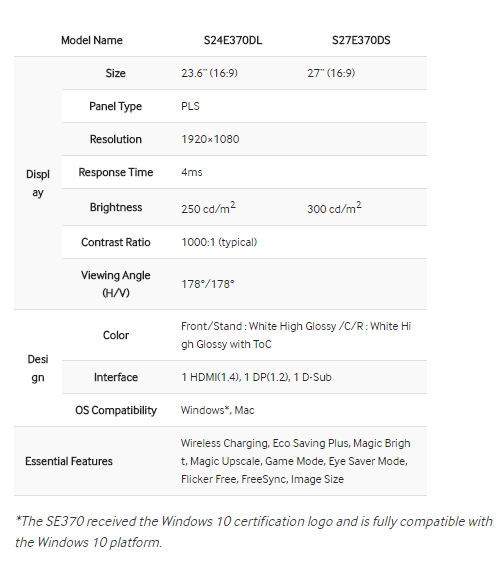 There’s no official word on the Samsung’s pricing or release strategy just yet, but it would be fair to assume that the SE370 will be readily available by the close of 2015. With the IFA conference coming up this September, it’s fair to assume that the world is about to welcome an influx of Samsung products in the very near future. Samsung is also running a promo ad for the new monitor, you can see it right here. Apple should have this feature by 2020… and call it innovation magic.